The 1939 Checklist gives;"Mrs. Jennett Dean, Moneta, California. 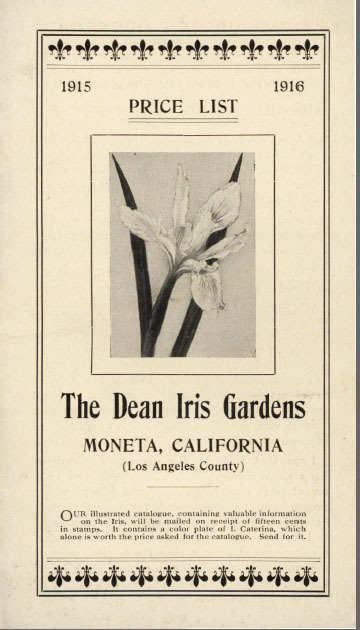 Dean Iris Gardens 1909; continued as Southern California Iris Gardens. 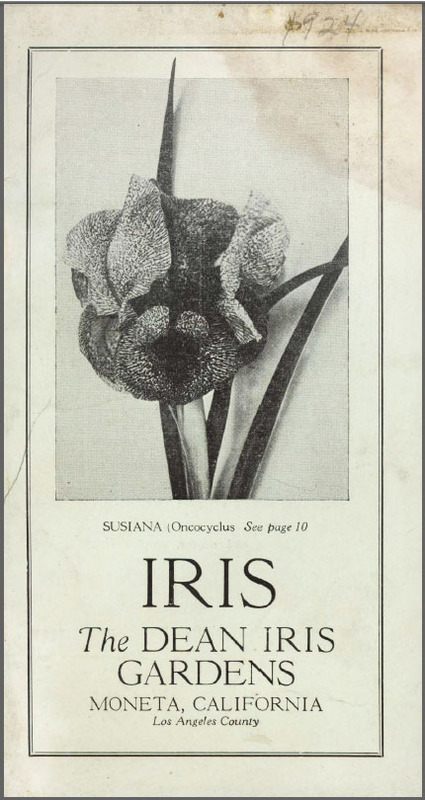 One of the first to specialize in Irises on the Pacific Coast."